we live in an apartment building that's just a hop, skip, and a jump away from manila bay. unfortunately, our unit doesn't face the gorgeous sunset; instead, our view is the motel across the street. lately, because the temps seem a little cooler, we like to open our windows to let a little breeze in. unfortunately, the stink of the bay also breezes in. it's a combination of basura that's been baking under the sun, fishy smells, not to mention the pollution (both air and noise) from the jeepneys down below. ugh. so it's a good idea to have one of these at home! Like the African soil, (diptyque)RED™ Special Edition candle combines all the elements of an evocative union. 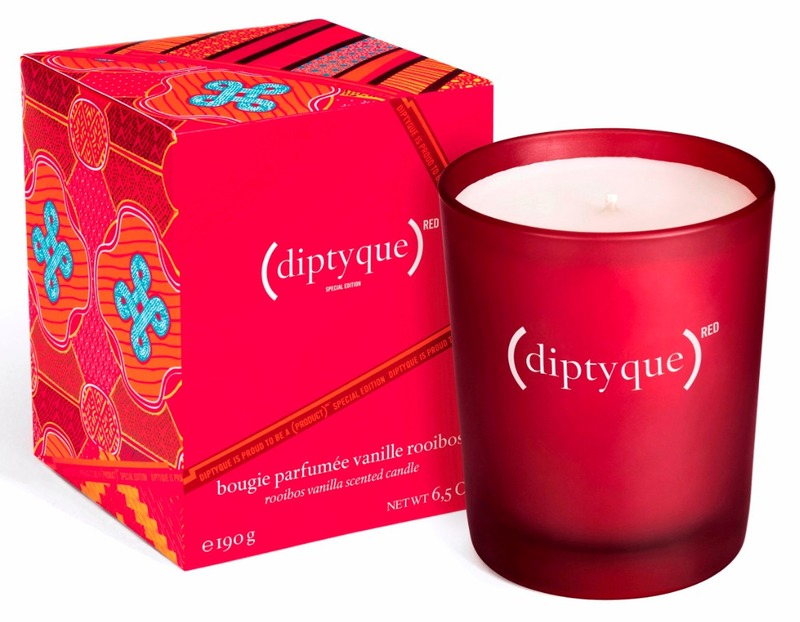 The candle’s soothing, spicy scents are derived from certified fair trade vanilla and is made up of Rooibos Vanilla that connote a distinct character with its bewitching, roasted and amber notes. Then come its herbal and tobacco accords as well as the sweetness of its light, powdery notes. 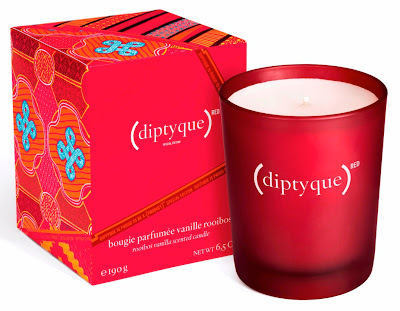 Diptyque then blends these already enchanting scents with Indian and Madagascar vanilla for a spicier aura. the candle is sold exclusively at rustan's stores for P3,600. sounds like a lot for a candle, but at least you know it's for a good cause. 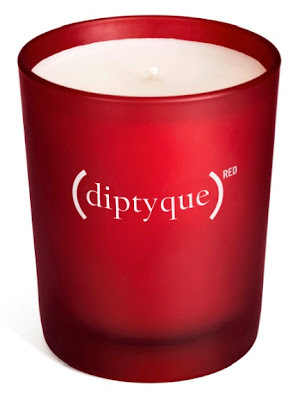 with each (diptyque)RED candle sold, diptyque will contribute 10% of its cost to help the global fund provide life-saving medication to those living with HIV in africa. In its efforts to mobilize support for the recently launched BORN HIV FREE, The Global Fund has created this campaign with a single goal where no child is born with HIV by 2015. Each time you buy a (RED)™ product or service, the partner company is able to give up fifty-percent of its profit to buy and distribute antiretroviral medicine to our brothers and sisters dying of AIDS in Africa. The (RED)™approach is uniquely inspired and daringly different. “Buy (RED)™, save lives” is an optimistic declaration that transforms an altruistic action into a beautiful story, giving everyone the power to fulfill their shopping desires while helping people. and because we love prints, we love the unique packaging: the box looks like african fabric. it celebrates the textile technique that africa is known for, which drips wax directly onto fabric in intricate patterns that is then dyed different shades. and the colors are beautiful!